Contact Veronique for session rate. 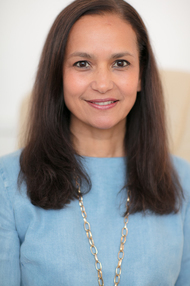 My name is Veronique Christie, I am qualified and a BACP registered practitioner based in North London. I offer an individual, therapeutic and confidential service that helps to identify issues, gain insight and build a path toward effective change. My private practice is based in Crouch End and Finchley Central. I am open to seeing clients from all cultures and backgrounds, young and older adults. My approach is psychodynamic, a therapy which explores your experiences within a safe and supportive environment. Together we can begin to explore and understand how challenging feelings or behaviours currently impact on your quality of life. Sessions start with two initial assessments where you can begin to talk about what brings you to seek out counselling at this time and work towards effective change. We will meet once weekly for 50 minutes. We can also clarify what time frame for therapy, long or short term feels right for you. I am BACP registered and adhere to the BACP's ethical framework and guidelines. About how Counselling can work for you. Counselling is a way for you to begin a journey of exploration. It can help you to express feelings and thoughts in a safe, confidential and non-judgemental environment that you may have felt unable to share with others. Counseling can also help to identify any negative patterns of behaviour that may be impacting on your day to day life. Together we can work through issues and help you gain the confidence to make any changes. I understand that making contact can feel daunting and a bit confusing at first, but building a good relationship with your counselor is the first step towards alleviating symptoms and overcoming problems that feel too overwhelming to manage on your own. The first step in the journey is to find the right person to talk to so if you need to talk with someone who is trained to listen with care, empathy and without judgement then please do not hesitate to call or email me for an initial appointment. If I am unable to speak to you straight away I will always return your call or email at the soonest opportunity. I also have eperience of working with people employed in the field of film, TV, media and theatre. Like any other area of employment this bring its own unique problems that can lead to stress, anxiety and depression. Whether in work or resting we can begin to explore the underlying root cause of your symptoms with empathy and without judgement.